Tan/medium brown leather, lightly sueded finish. 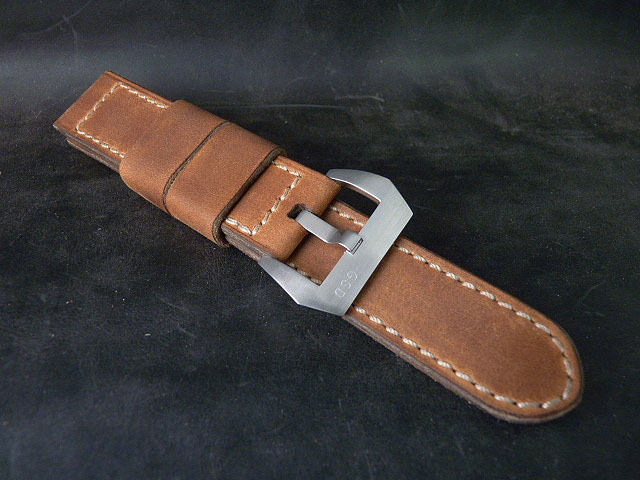 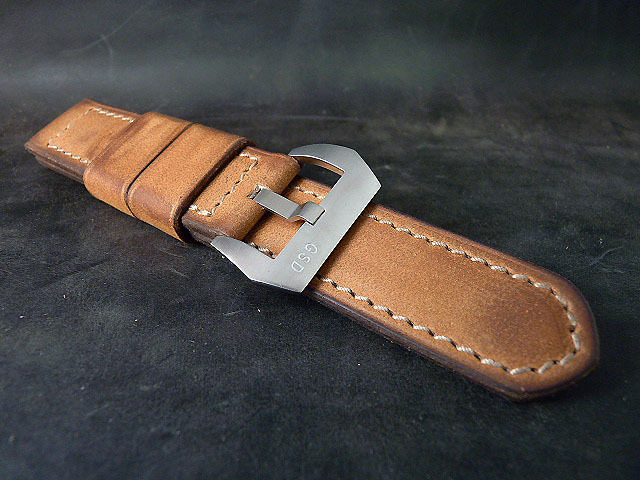 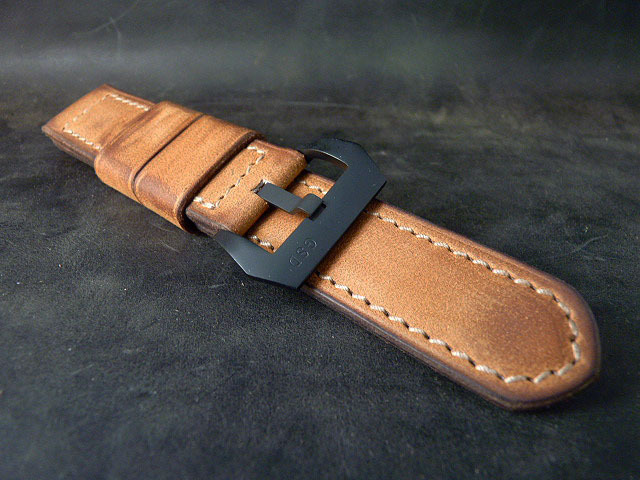 Builds a really nice strap. 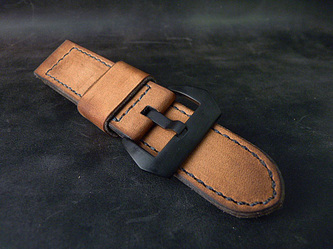 Love the character of this leather.